Play and learn quickly! What animals live in Antarctica? Asia? Europe? 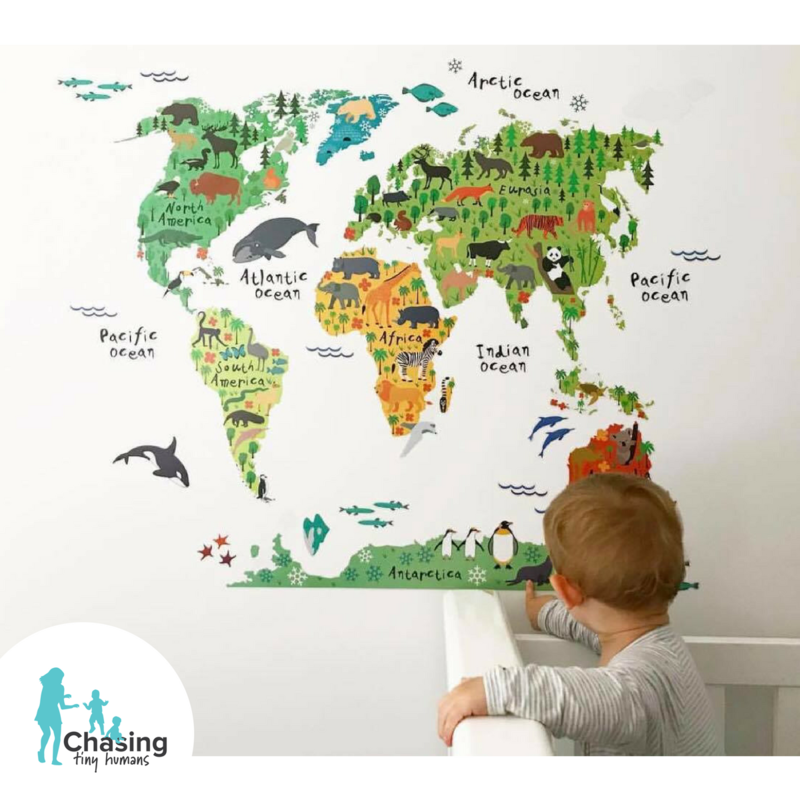 Take a trip around the world and learn more about its animal inhabitants with this Kids World Map wall decal. 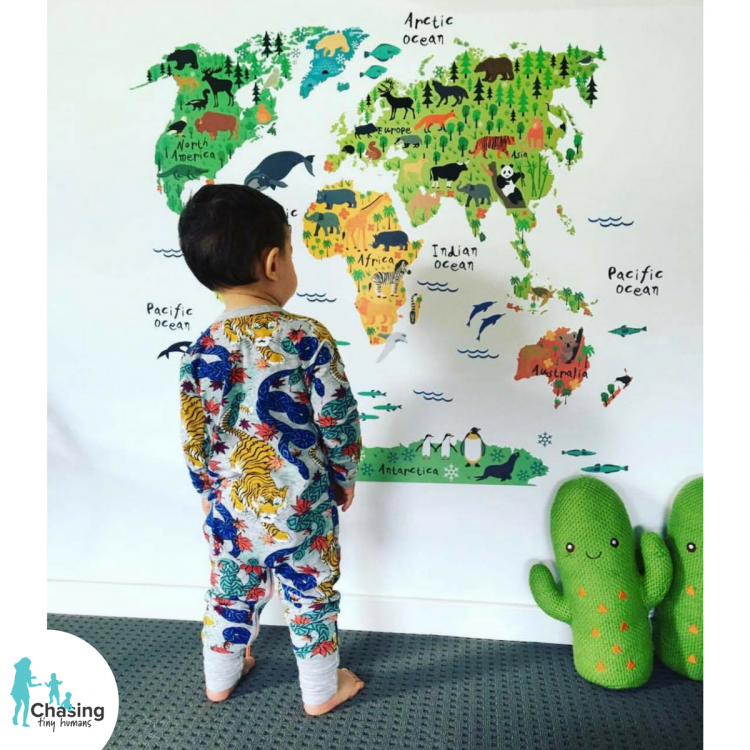 It gives your kid's room a fresh look and creates a relaxing atmosphere. Printed Size: 90cm x 60cm | Finished Size: DIY based free size, arrange pieces as you wish, spread out to increase size. Use our stock photo above as guide. Add colors to your room without paint. These pre-cut stickers will bring so much love, life, memories and happiness into your home. Great for walls, dressers, glass, mirrors and smooth metal. DIY - Stickers come printed on sheet. Just peel & arrange & stick, no transfer film needed. 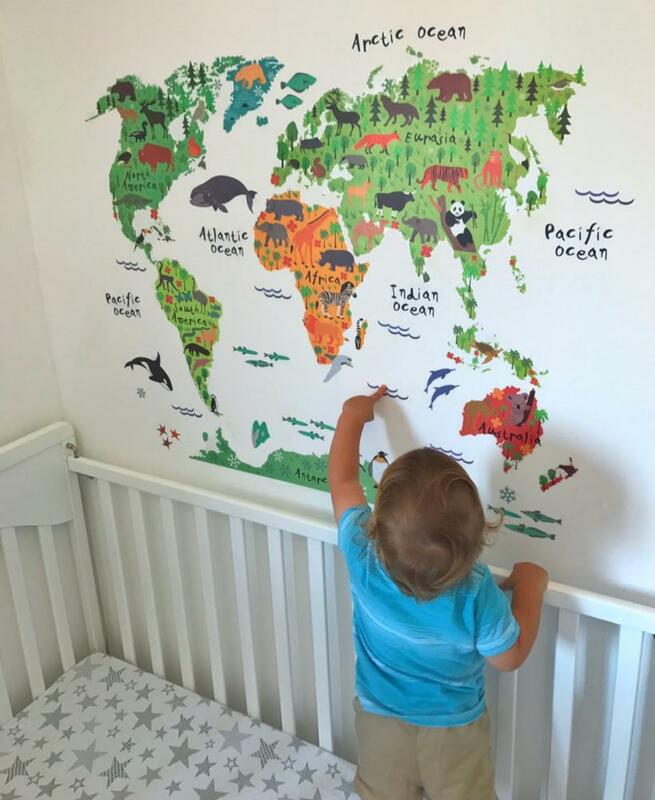 *The wall surface MUST be clean, or dirt/grease will cause the wall stickers to peel from the surface. We don't guarantee it will adhere or stick well to any surface. Note: Orders placed on or after 10/27/2017 will receive map as pictured above (Europe and Asia labeled as two separate continents) instead of previously combined as "Eurasia" which was used in an older advertisement.